The Edward Gorey Personal Library is a special collection at San Diego State University library that comprises 26,000 books collected by Edward St. John Gorey (1924-2000). Over 9,000 catalogued volumes, or 35% of the collection are searchable at the link at the top of this page. If you find a book you would like to examine from this collection, please contact Special Collections and University Archives at askscua@mail.sdsu.edu, or at 619-594-6791 or visit their service desk on the 4th floor of the Library Addition. Books may only be viewed in the Special Collections area. An American artist, Edward St. John Gorey's publications include over one hundred books. His most well-known works includeThe Gashlycrumb Tinies, The Doubtful Guest and The Wuggly Ump. Many of his illustrations appear in publications like The New Yorker and The New York Times. Gorey illustrations and book designs enhance editions of works by Charles Dickens, Edward Lear, Samuel Beckett, John Updike, Virginia Woolf, H.G. Wells, Florence Heide and Peter Neumeyer. The SDSU Library acquired the Edward Gorey Personal Library (EGPL) in 2009. Edward Gorey collaborated with Professor Emeritus Peter Neumeyer who founded the Children's Literature Program at San Diego State University. In the 1960s and 1970s Neumeyer co-authored books with Gorey, including Why We Have Day and Night (1970), Donald and the... (1969) and Donald Has a Difficulty (1970). In Neumeyer's groundbreaking 2011 book, Floating Worlds. The Letters of Edward Gorey & Peter F. Neumeyer, Neumeyer shares and annotates letters exchanged by the two men during the years they worked together, and his book includes never before published original envelope art by Gorey. SDSU Notable Alumnus Andreas Brown envisioned that the SDSU Library's Edward Gorey Collection could be unique and distinctive collection on the West Coast. Once the owner of New York City's Gotham Book Mart, Brown was Gorey's friend in books To hear more about this connection to SDSU, listen to A talk given by Andreas Brown. 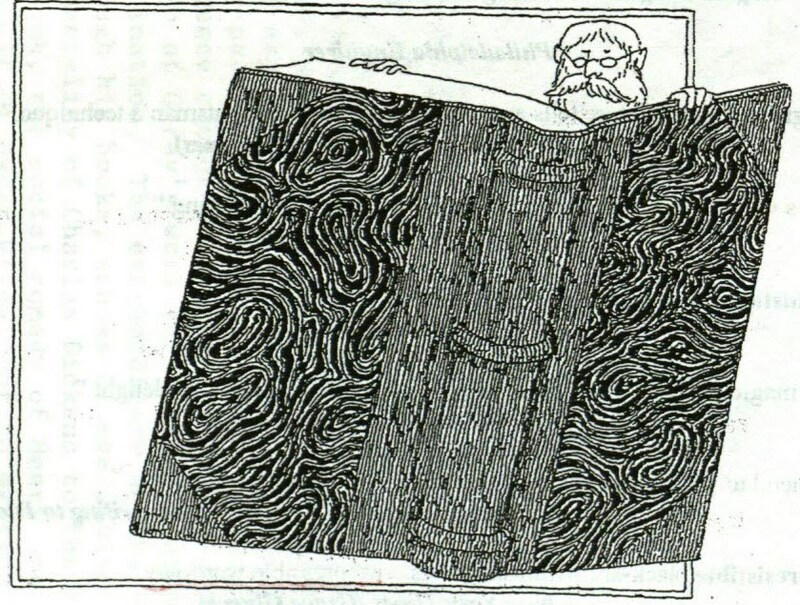 Edward Gorey surrounded himself with books at his house in Yarmouth Port, Massachusetts. These lists give examples of the subjects and the authors he collected and read. Jacob Abbott; J.R. Ackerly; Harold Acton; Louisa May Alcott; Hans Christian Andersen; Victor Appleton; Gillian Avery; Helen Bannerman; Djuna Barnes; Nina Bawden; Arnold Bennett; E.F. Benson; James Blish; Guy Boothby; Lucy M. Boston; Charlotte Bronte; Wilhelm Busch, Randalf Caldecott; Italo Calvino; Lewis Carroll; Willa Cather; Agatha Christie; Wilkie Collins; Maurice Stewart Collis; Water Crane; Franklin W. Dixon; Theodore Dreiser; Maria Edgeworth; Juliana Horatia Ewing; Eleanor Farjeon; J.S. Fletcher; Ronald Fraser; David Garnett; Stella Gibbons; Michael Francis Gilbert; George Gissing; Rumer Godden; Kenneth Grahame; Grahame Greene; Donald Hamilton; Patrick Hamilton; L.P. Hartley; Herge; Inez Haynes Irwin; Erich Kastner; Carolyn Keene; Andrew Lang; Edward Lear; William LeQueux; Gason LeRoux; E.V. Lucas; Walter de la Mare; Louis Marlow; Richard Marsh; William Mayne; Herman Melville (sets); Leonard Merrick; Mrs. Molesworth; M. Pardoe; Eden Phillpotts; Beatrix Potter Anthony Powell; John Rhodes; Edward and Vita Sackville-West; Walter Scott; Mary Sinclair; Robert Lewis Stevenson; Margaret Sutton; Sylvia Townsend Warner; Anthony Trollope; Henry Williamson; E. H. Young. ​The Edward Gorey House - Gorey kept much of his personal library here during his lifetime. Now Gorey House is a museum. About the Edward Gorey Charitable Trust. Thousands of books in this collection are available to researchers and thousands more await cataloging. Check back here for updates and news about the contents of this intriguing collection. For inquiries about this collection, please contact L. Salem at lsalem@mail.sdsu.edu and tel. 619-594-5148 or the SDSU Library Adminstration office at 619-594-6014.